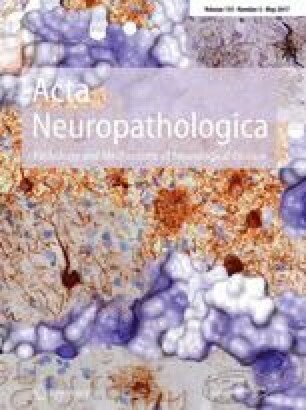 Corticobasal degeneration (CBD), progressive supranuclear palsy (PSP) and a subset of frontotemporal dementia (FTD) are neurodegenerative disorders characterized by tau inclusions in neurons and glia (tauopathies). Although clinical, pathological and genetic evidence suggests overlapping pathobiology between CBD, PSP, and FTD, the relationship between these disorders is still not well understood. Using summary statistics (odds ratios and p values) from large genome-wide association studies (total n = 14,286 cases and controls) and recently established genetic methods, we investigated the genetic overlap between CBD and PSP and CBD and FTD. We found up to 800-fold enrichment of genetic risk in CBD across different levels of significance for PSP or FTD. In addition to NSF (tagging the MAPT H1 haplotype), we observed that SNPs in or near MOBP, CXCR4, EGFR, and GLDC showed significant genetic overlap between CBD and PSP, whereas only SNPs tagging the MAPT haplotype overlapped between CBD and FTD. The risk alleles of the shared SNPs were associated with expression changes in cis-genes. Evaluating transcriptome levels across adult human brains, we found a unique neuroanatomic gene expression signature for each of the five overlapping gene loci (omnibus ANOVA p < 2.0 × 10−16). Functionally, we found that these shared risk genes were associated with protein interaction and gene co-expression networks and showed enrichment for several neurodevelopmental pathways. Our findings suggest: (1) novel genetic overlap between CBD and PSP beyond the MAPT locus; (2) strong ties between CBD and FTD through the MAPT clade, and (3) unique combinations of overlapping genes that may, in part, influence selective regional or neuronal vulnerability observed in specific tauopathies. J. S. Yokoyama and C. M. Karch equally contributed. The online version of this article (doi: 10.1007/s00401-017-1693-y) contains supplementary material, which is available to authorized users. Primary support for data analyses was provided by the Larry L. Hillblom Foundation 2012-A-015-FEL and 2016-A-005-SUP (JSY), AFTD Susan Marcus Memorial Fund Clinical Research Grant (JSY), NIA K01 AG049152 (JSY), NIA K01 AG046374 (CMK), U24DA041123 (AMD, RSD), National Alzheimer’s Coordinating Center (NACC) Junior Investigator (JI) Award (RSD), RSNA Resident/Fellow Grant (RSD), Foundation of ASNR Alzheimer’s Imaging Grant (RSD), Alzheimer’s Society Grant 284 (RF), and the Tau Consortium. GUH was supported by the Deutsche Forschungsgemeinschaft (DFG, HO2402/6-2 and Munich Cluster for Systems Neurology SyNergy), and the NOMIS Foundation (FTLD project). The PSP-GWAS was funded by a Grant from the CurePSP Foundation, the Peebler PSP Research Foundation.